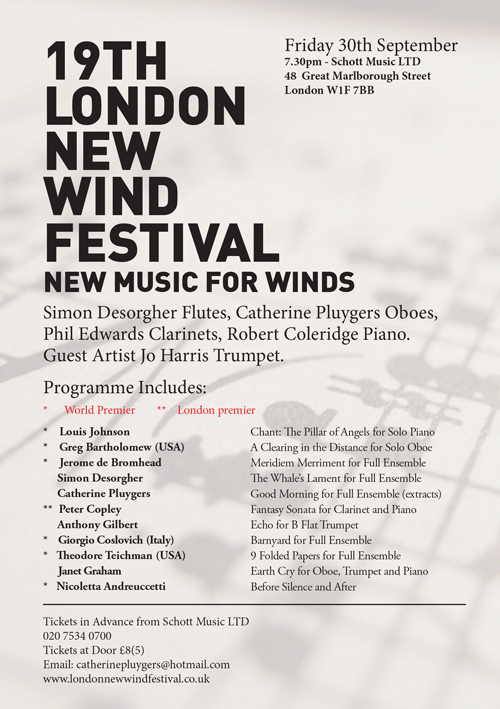 "20th London New Wind Festival goes International!" **Cecilia Franke (Sweden) "The Myth of Vineta" for Wind Quintet"
**Acacio Piedade(Brazil) Ghost Joke forWoodwind Trio. 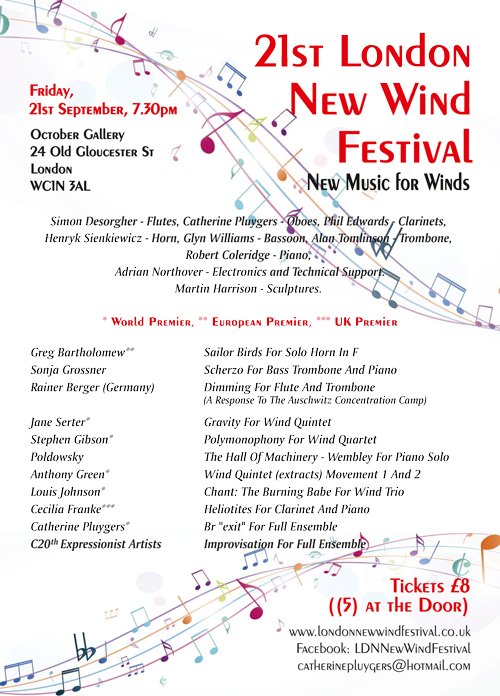 Tickets £8 (5) at door. 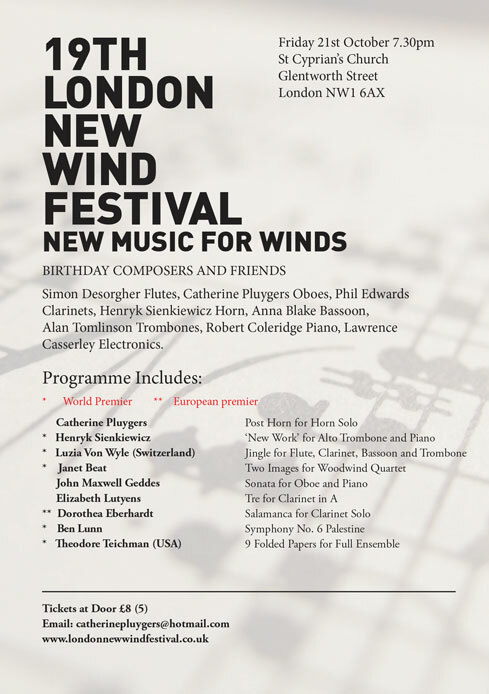 "BRAND NEW MUSIC FOR WINDS"
Catherine Pluygers Oboe, Phil Edwards Clarinet, Henryk Sienkiewitz Horn, Alan Tomlinson Trombone, Robert Coleriidge Piano. 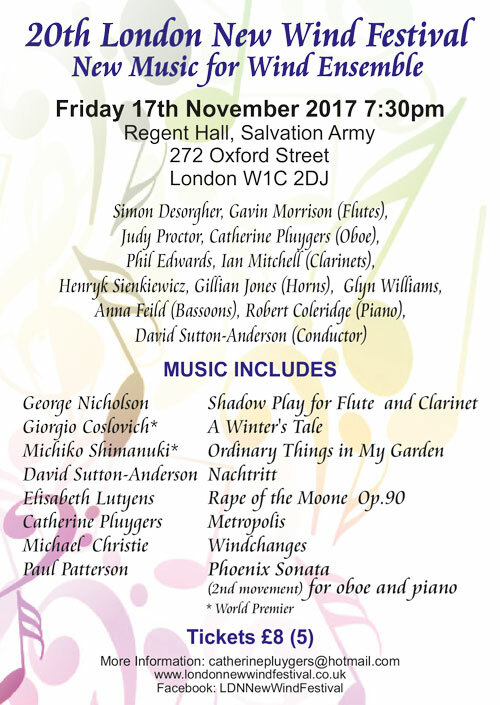 * Judith Bailey Passacaglia for Oboe, Clarinet, Horn and Trombone. H.M.S. President, Victoria Embankment, London EC4Y OHJ. 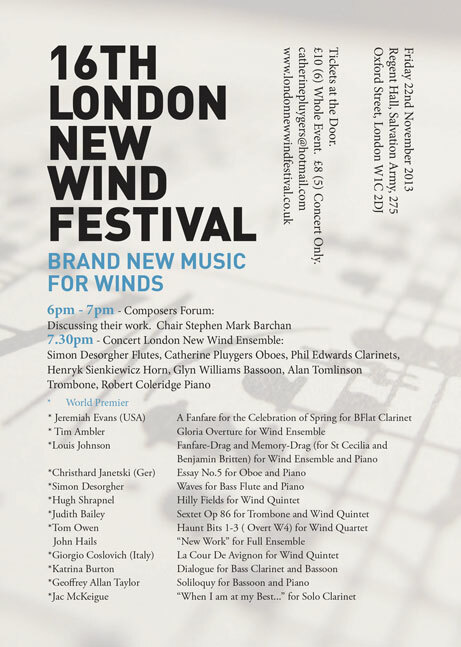 and Improvised Music for Full Ensemble. Helen Petts and Vicky Langan with live accompaniment. 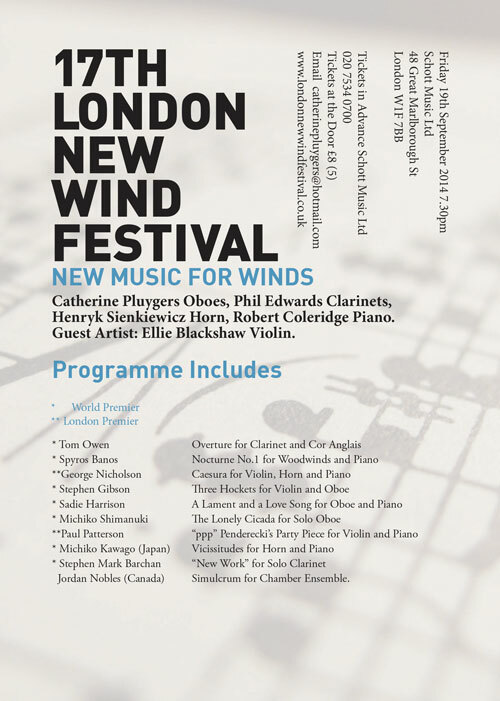 Catherine Pluygers Oboe, Phil Edwards Clarinets, Henryk Sienkiewicz Horn, Alan Tomlinson Trombone, Robert Coleridge Piano, Ellie Blackshaw (guest artist) Violin. 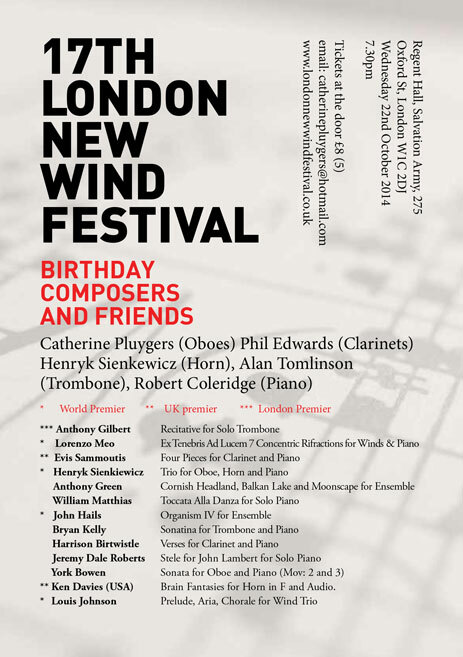 Booking is advisable for this event as there are limited places. Terry Day Bamboo Reed-Pipes, Recorders, Balloons. 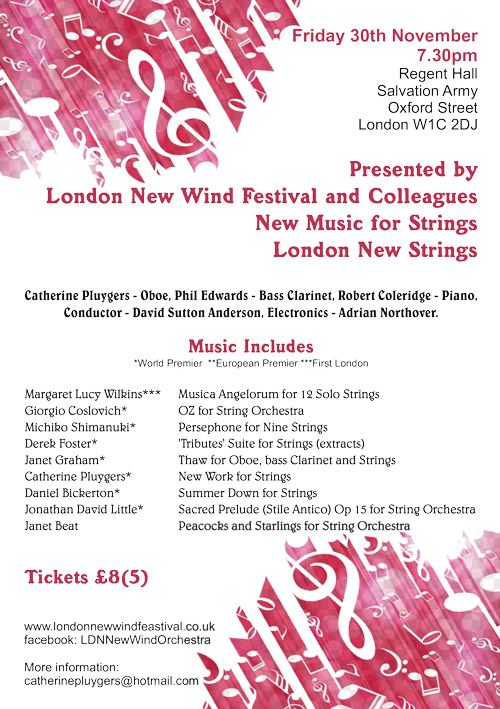 The programme will feature contemporary works for both instruments. Joseph Bujtas, Paul Glass, Cornelius Cardew, Guiseppe Senfett. 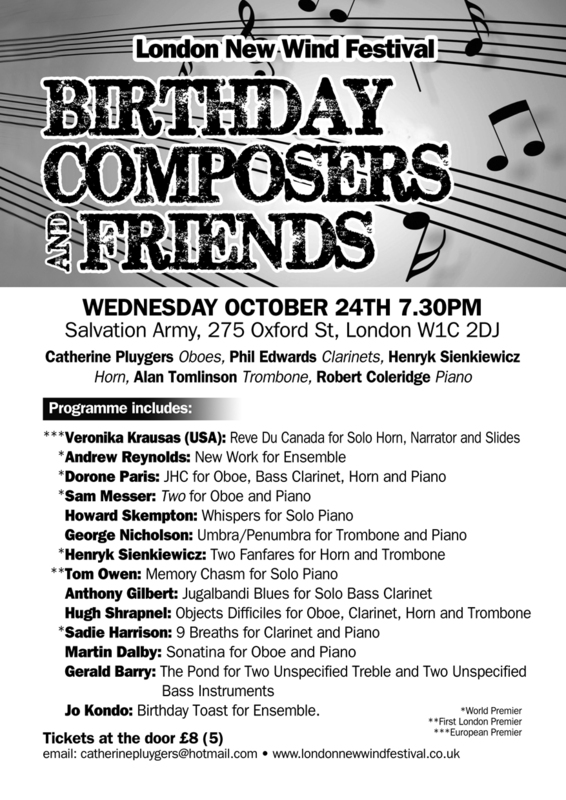 Tonight's composers will discuss their work. The Regent Hall is opposit e British Home Stores. The nearest undergrounds are Oxford Street and Bond Street. 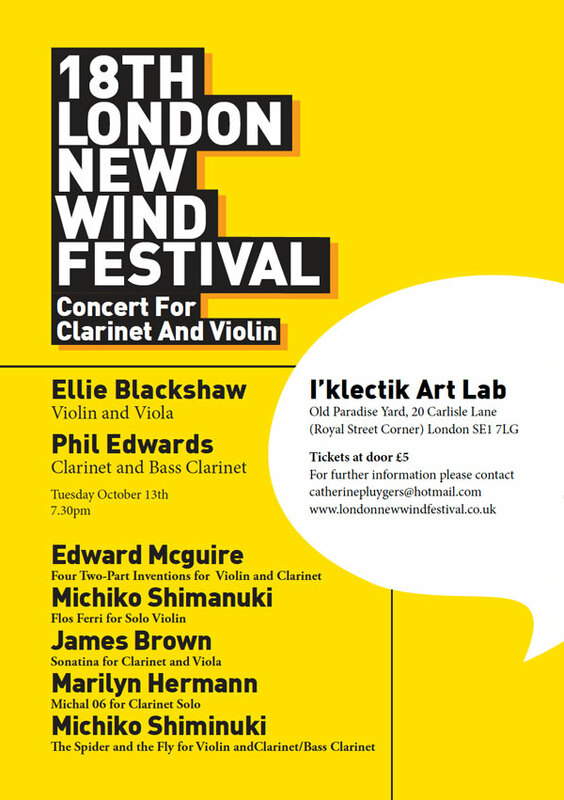 Ellie Blackshaw violin (guest artist). 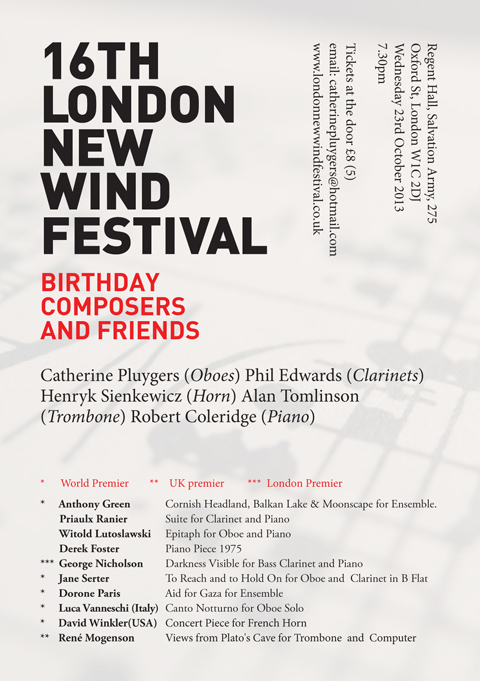 London New Wind Ensemble: Catherine Pluygers Oboe, Philip Edwards Clarinet, Henryk Sienkiewicz (Horn), Glynn Williams (Bassoon), Alan Tomlinson Trombone, Robert Coleridge Piano/Conductor. 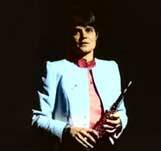 *Jane Serter Pile up the Agony for Solo Oboe. 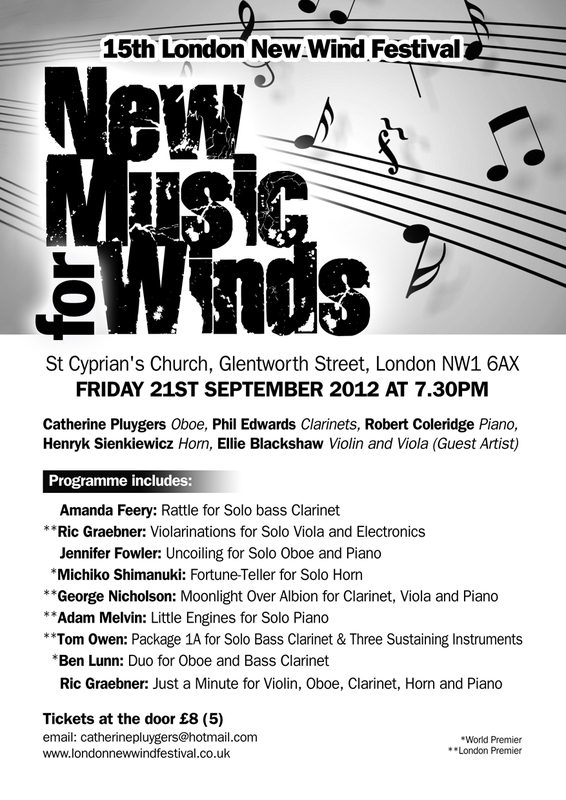 The programme will include contemporary works for both instruments. 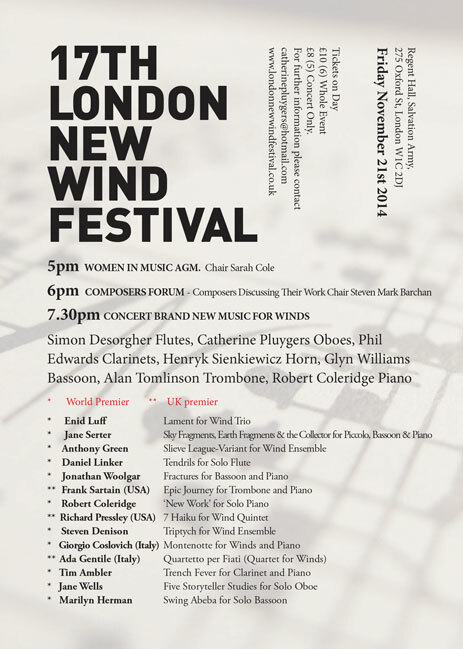 world premier of 'Notturno' for piano by Guiseppe Senfett. 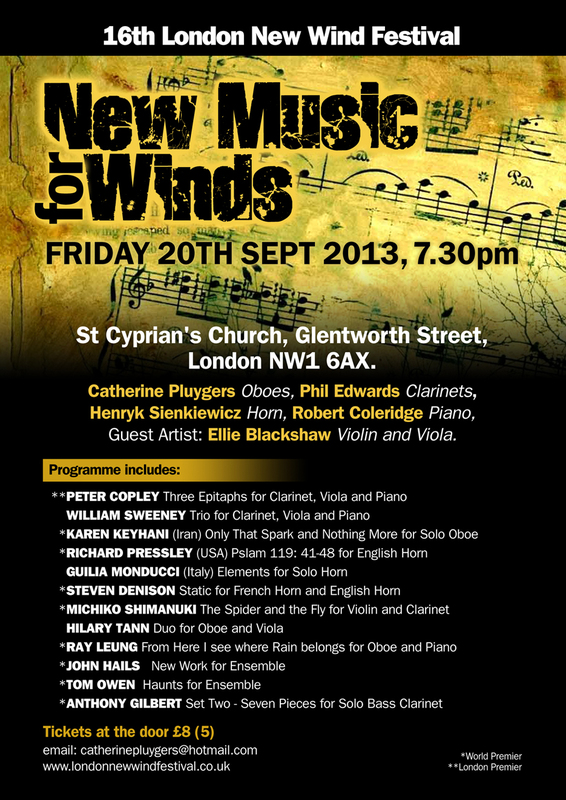 Henryk Sienkiewicz - Horn, Ellie Blackshaw - Violin, Robert Coleridge - Piano. Tickets £5 at the door. "Women's Music: the Other (Gender)?" 1.00 pm Women in Music AGM. 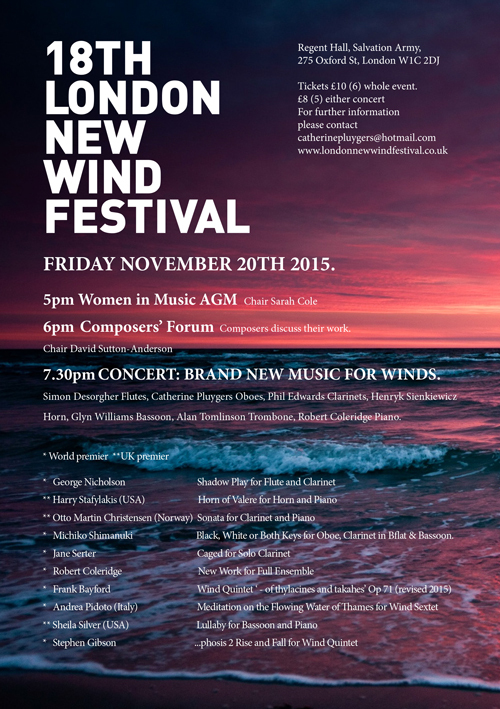 The Conference will celebrate 100 years of the women in music movement in the UK. 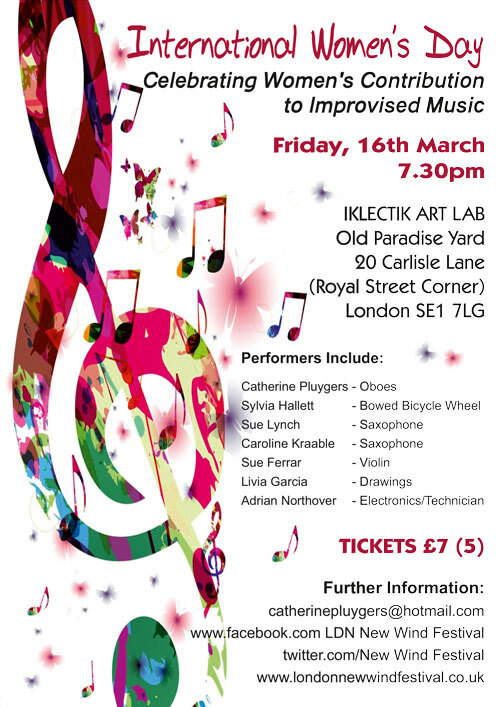 The Panel will discuss various models for educating composers. Conference chaired by Dr Margaret Lucy Wilkins. Joan Tower - Fantasy....."Those Harbor Lights"
PhD pg, City University, London. 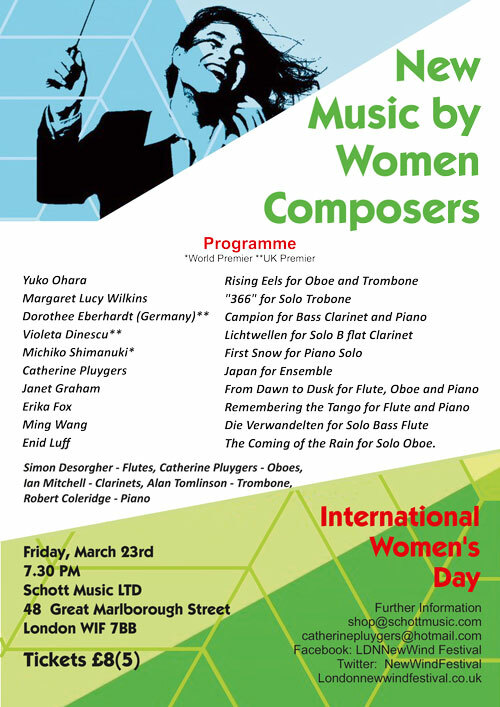 Breaking Insuperable Barriers: The Women and the Ideology of the Society of Women Musicians. asst. professor of Music, Lafayette College, Easton, PA, USA. 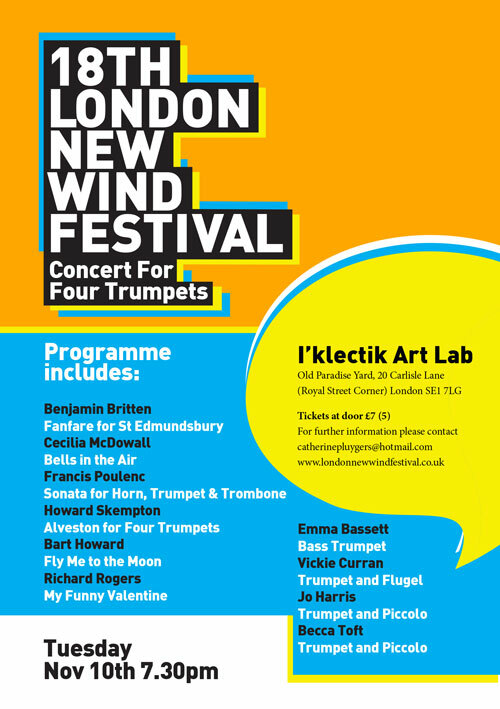 Hilary Tann: Welsh composer living in America. 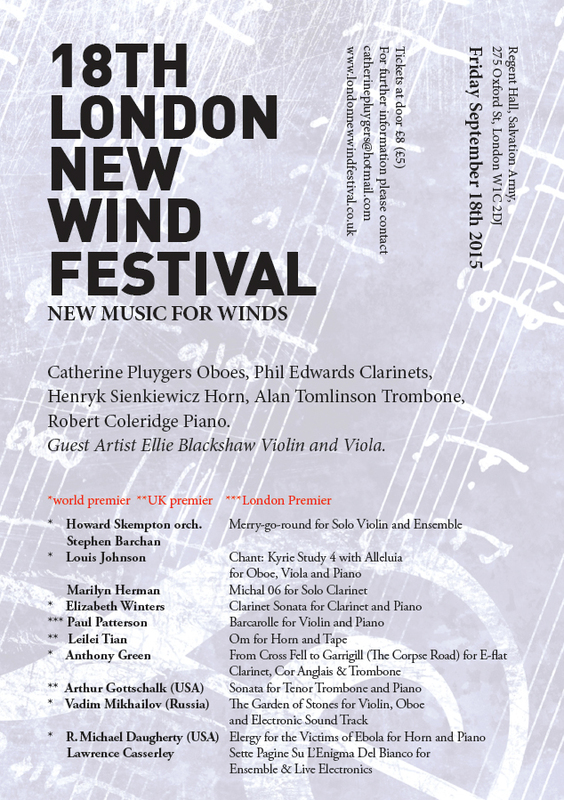 "New Music for Oboe and Piano"
and Catherine Pluygers - Oboe and English Horn. Orange Dawn was inspired by the vision of a dawn scene in the Great Rift Valley of East Africa. Aternative flute fingerings are used to help create a mysterious earthy quality to the sound. The Deer's Cry is a prayer written by St. Patrick: 'I arise today through splendour of fire, swiftness of wind, depth of sea, stability of earth, I arise'. The four movements are Clear Water, Whispering Wind, Flickering Fire and Earth'e Lullaby. The work commissioned by Hannah Money and first performed at the Barnstaple Colourscape Festival by Simon Desorgher in June of this year. 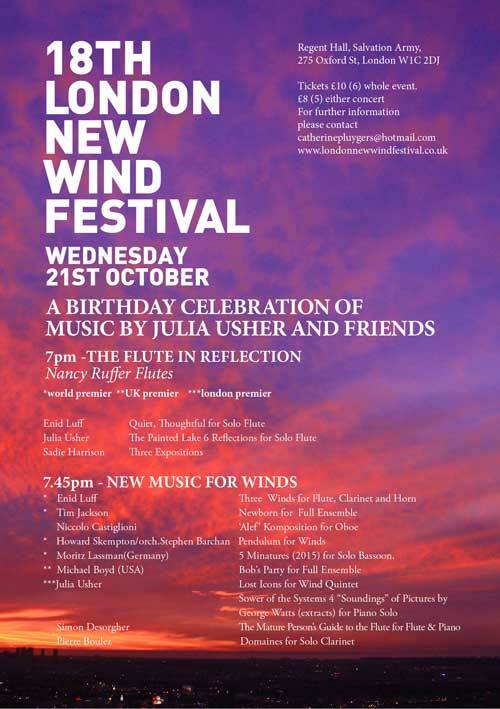 Juillet was commissioned by the pianist Claire van Kampen with funds provided by the Arts Council of Great Britain. 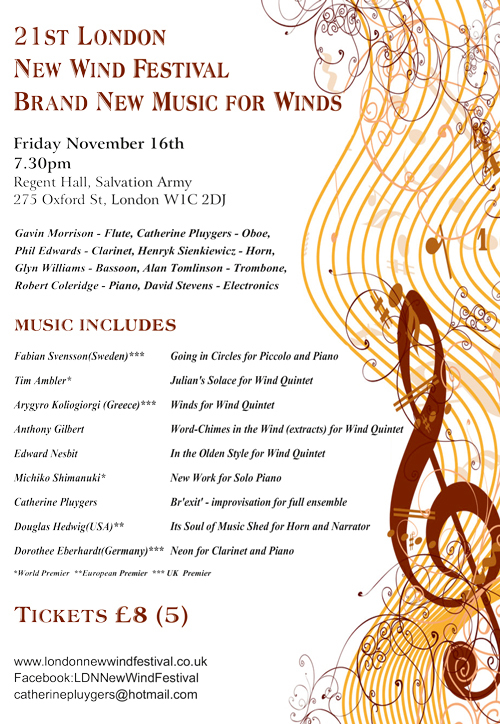 It is the first of a set of solo instrumental pieces bearing the title of one of eleven months in French. Simon Desorgher’s improvisation performance uses a new computer-music sampling and sensor system devised by composer David Stevens. Movement, direction and pressure sensors are controlled by the player so that live flute samples are built up into a whole orchestra of new flute sounds. 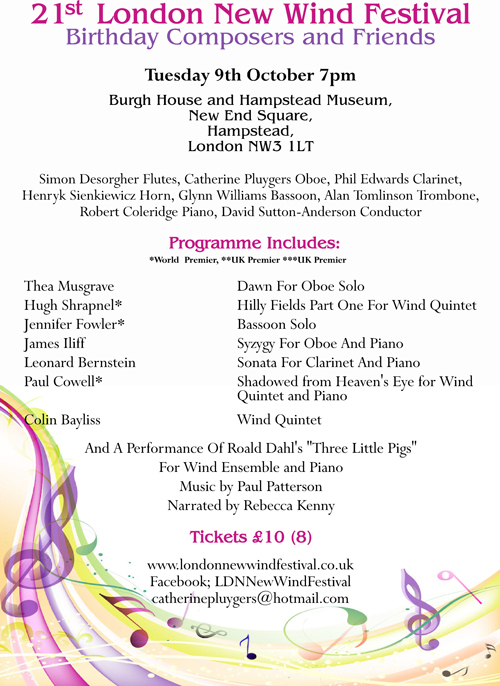 Mature Person’s Guide to the Flute was commissioned by Sounds Positive Ensemble in Purcell’s 300th anniversary year. 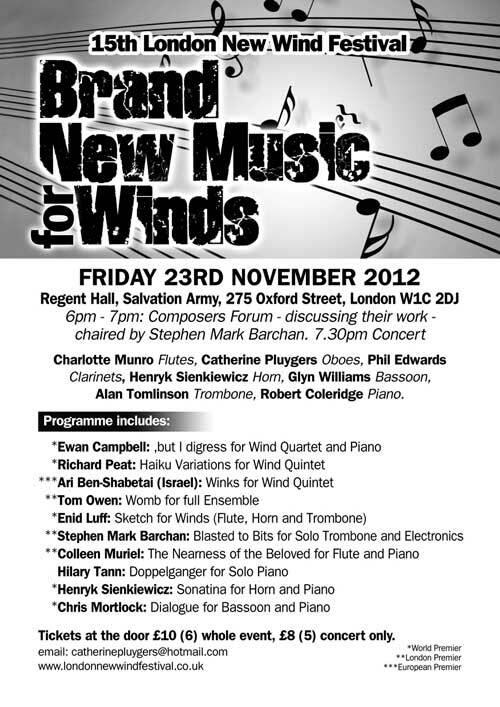 Purcell’s famous theme is re-worked into a set of variations exploring new sounds and ways of playing the flute. Tickets (on door available from 5.30 onwards) £12 whole event £8 (5) individual events.